I love the Church Year, the seasons of our faith moving from Advent through Trinity, traveling from December into next year’s November. The story of Christ – birth, death, and life – is reflected in the nine seasons or “tides”: Advent, Christmas, Epiphany, Pre-Lent, Lent, Easter, Ascension, Pentecost, and Trinity. Colors are assigned to these times: purple, white, green, purple, purple, white, red, green. So when we sing the song in Sunday School with the children, “Advent Tells Us Christ is Near,” I am especially happy, for in the verses we summarize our faith, what God did and does for us, out of his great love. Songs are poetry set to music, two arts entwined. And poetry is man’s way of expressing truth. Christian truths can never be celebrated enough: that our lives are important, that they have meaning and purpose and direction, that God exists and loves each of us, that he has provided a pathway for us to be with him in eternal glory. Living the Church Year within the Church gives our faith richness and depth and allows these truths to intersect our real lives, day to day, week to week. We are now in the long green Trinity season, that time that stretches from Trinity Sunday in June to the First Sunday in Advent in December. It is a green season for it is a quiet growing time in the faith, celebrating the parables and healings and miracles of Our Lord as he walked among us. In Advent we prepare for Christmas, the glorious celebration of the Incarnation. In Epiphany we celebrate the epiphany of Christ, his manifestation or revealing to the world with the visit of the three kings, the wise men, to worship him. In Lent we prepare for Easter, the glorious celebration of the Resurrection of Our Lord. Soon we celebrate his Ascension and the coming of the Holy Ghost upon the disciples, or Pentecost Sunday. 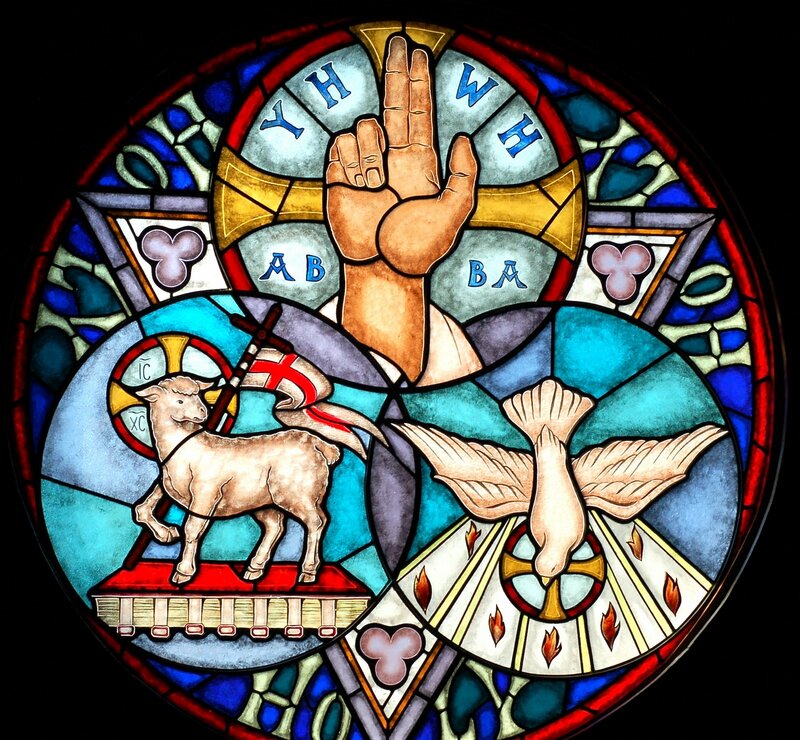 Trinity follows soon after, bracketing this seven month life history of the Son of God, and sending us into the green seasons of summer and fall. Living out the Church Year brings God into our everyday lives so that he truly inhabits our time alongside us. When we are betrayed, slandered, accused falsely, or whatever hurt we may be feeling, whatever abuse or disappointment, we have this ultimate standard of truth to hold onto, Christ himself. And that truth holds us up and keeps us from falling in our journey. And best of all, that truth is love without limits, a God with a sacred heart full of divine mercy. As Christians, we travel through the Church Year, enriched and protected by the life and love of Christ intersecting our own lives and loves, and so we must in turn enrich our world with these true intersections. It is easy to hold on to our faithful truths, to keep them for ourselves, our own parish, but the light under the bushel will go out without air to breathe. As our world draws away from truth of any kind, and in so doing denies true love as well, we must be the beacon on the hill, the guiding star. We must share this intersection of the eternal in time with our world, our nation, our communities. As the children sang and raised their arms in joy, as they twirled and clapped and grinned, I realized how simple it all really is to share eternity with time. All I need do is be faithful in prayer, scripture, and sacrament. The road may not always be painless – suffering is a part of love – but it will always end in joy. This entry was posted in Uncategorized and tagged Advent Tells Us Christ is Near, Christians, church year, eternity, Faith, God, love, public square, seasons, Sunday School, Trinity, truth. Bookmark the permalink.